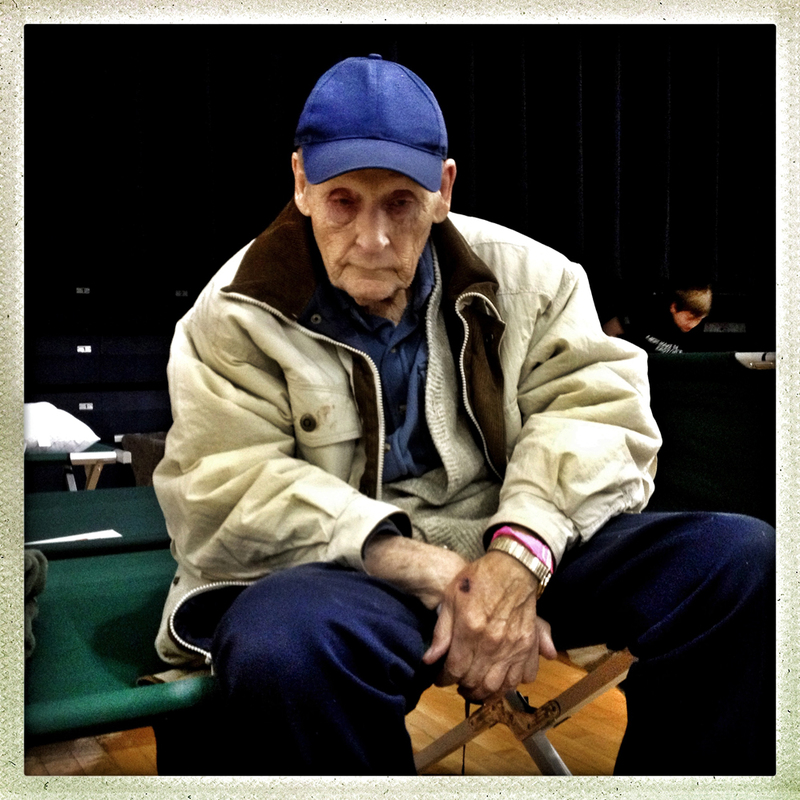 Tom’s River, NJ | November 3, 2012 a dejected Richard Holmquist sits in an impromptu Red Cross refugee center in the Tom’s River high school auditorium after being evacuated from Seaside Heights. Richard and his wife Natalie have been living in the beachfront community since 1953 in a house his father bought in 1945. The house was destroyed.